An ultra-hydrating self-tanning formula that creates a flawless, radiant, natural-looking tan while providing 24 hour moisture. Self Tanning Milky-Lotion delivers an even, golden glow on the face and body and leaves behind the refreshing scent of figs. Its smooth, milky texture melts into the skin for even application and sunkissed, streak-free results. 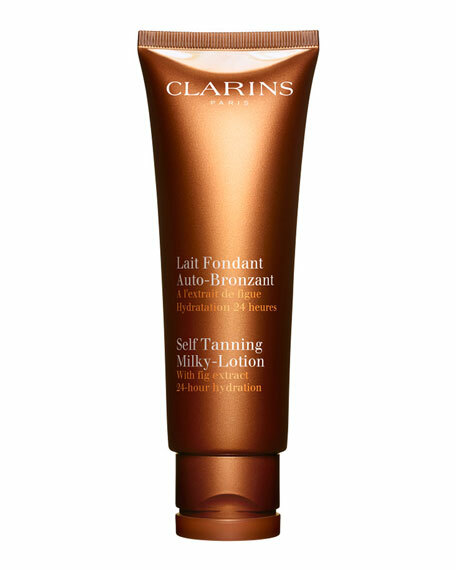 Infused with Clarins' exclusive complex of self-tanning moleculesDHA and erythrulosethey work together to create a natural-looking, long-lasting tan. 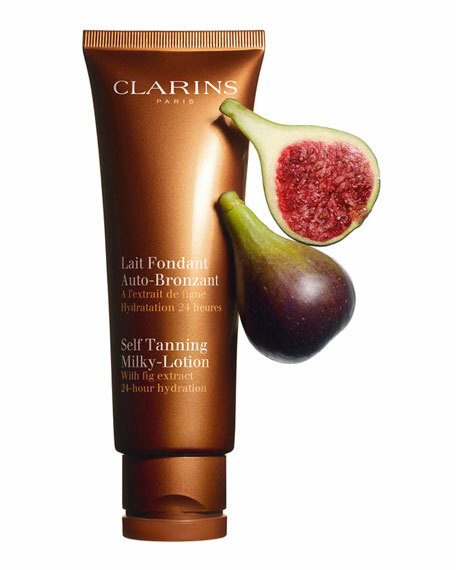 Fig Extract: Leaves skin luminous and satin-smooth, while providing a fresh, irresistible scent. Aloe Vera: Moisturizes, comforts, and softens the skin. DHA (DiHydroxy Acetone) and Erythrulose: Delivers natural-looking, long-lasting, glowing results.